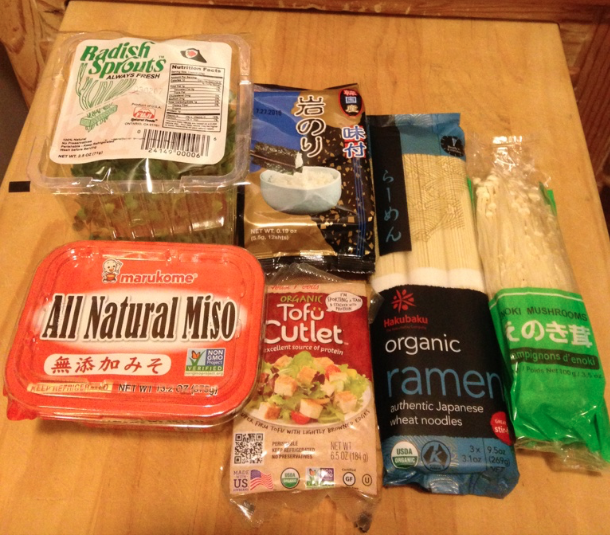 Found all of these at Nijiya Market on Sawtelle Blvd. 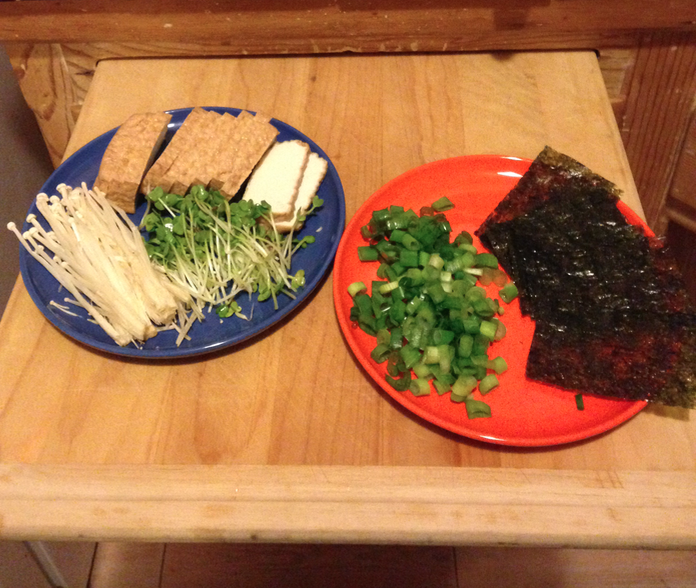 Cut up the green onions and tofu! 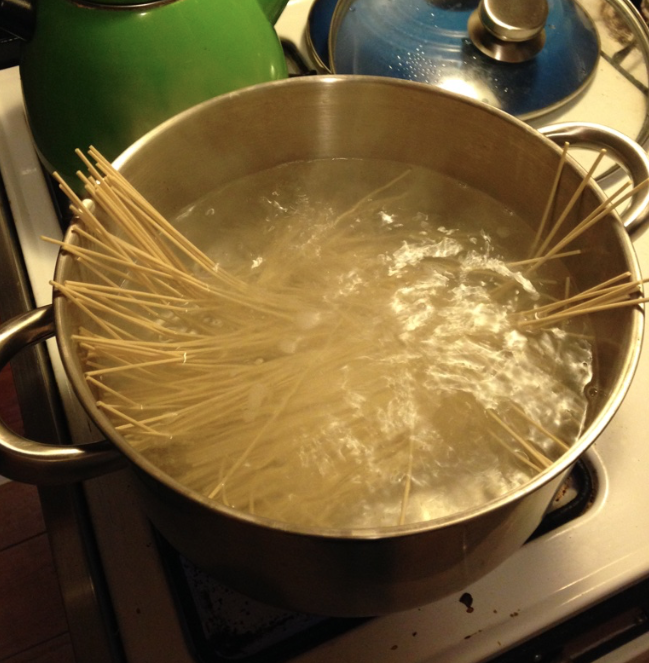 Boil that water for the noodles! I hope you all enjoyed this simple recipe. I’m not one to measure things, I do everything by taste and smell, so use your best judgement. Good luck! 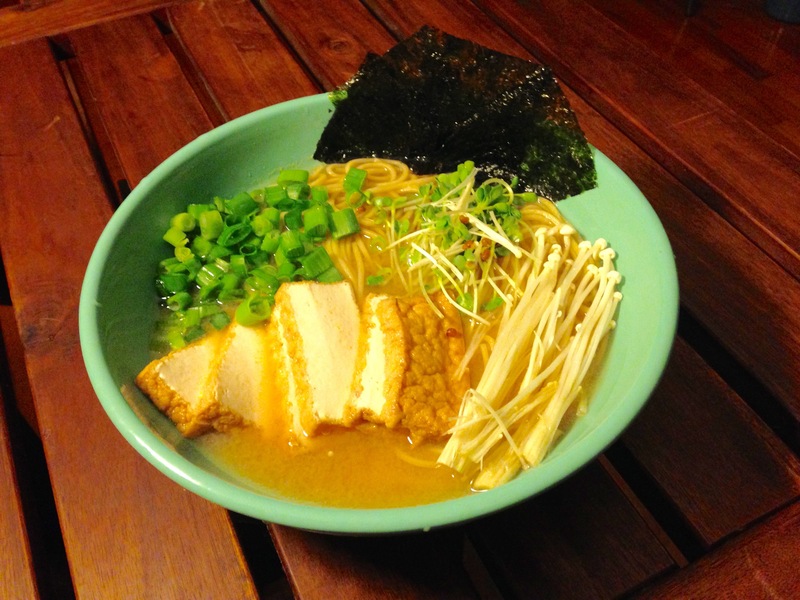 This entry was posted in Cooking, Food, Foodie, Ramen, Recipe, Vegetarian. Bookmark the permalink.